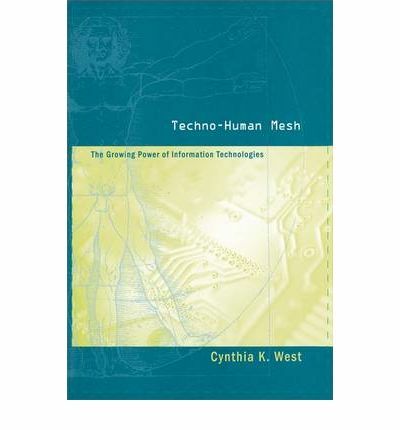 Dr. Cynthia K. West examines the intersection of information technologies, power, people, and bodies. Informed by more than ten years as a digerati in Silicon Valley and a political theorist, she offers a unique perspective on the direction in which information technologies are leading North American and global societies and cultures. Not only are information technologies bringing positive changes, technologies are embedded in what Michel Foucault calls power networks. Information technologies inherit influences from prior historical, cultural, and social events. West's research examines how information technologies are on a path of creating efficiency, productivity, profitability, surveillance, and control. Human-machine interface technologies are merging more and more with physical bodies. Surveillance technologies are supervising human activities in an increasingly panoptic fashion. Biometric technologies record data from the body's parts-hands, retinas, irises, and even body odor. But as West points out, we need to ask ourselves just how digital do we want to become? West calls for an ethics dialogue not only among digerati within the industry but also a dialogue which allows for public participation. Where do we want to lead the technology? Instead of continuing to embrace the goals of the technocratic paradigm, how can we use the technologies toward more humanistic goals? West concludes by offering six levels of active participation for positive change. This book will be of particular interest to scholars and students of contemporary science and technology as well as participants in information technology.